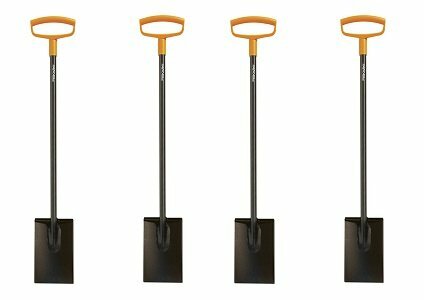 Fiskars 46 Inch Steel D-handle Square Garden Spade (4-(Pack)) by Fiskars at Heirloom Gardens. Hurry! Limited time offer. Offer valid only while supplies last. The Fiskars steel D-handle square garden spade features a durable design that provides excellent grip when you are working with soil or cutting turf.